In this episode, Ean talks about the importance of keeping a food journal and why not keeping one may be the key to losing those last 10-15 pounds. Even the best of us cheat from time to time. I’m not talking about the regularly scheduled cheat meal or carb-nite. I’m taking about those times when you eat something (or a lot of something) you know you shouldn’t. Food journaling can help with this problem. 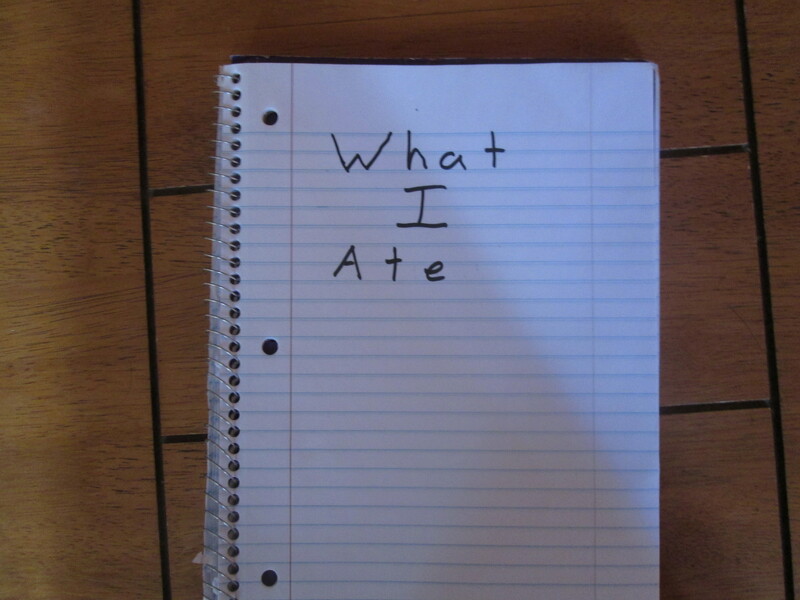 The objective of a food journal is to write down everything you eat and when you eat it. When you keep track of what you eat in this way, you really have to think twice about what you put in your mouth. Why is that? Well, One of the reasons we cheat is due to the fact that there is an immediate pleasurable experience. But that is not all. For many people, they do not have to face any negative consequence for their bad behavior right away. They can eat that brownie and not think about it for some time. However, a food journal provides an immediate negative consequence. It is much like a health coach or an accountability partner that you have to confess to right away. If you had to confess every time you ate something bad for you, and you had to confess it immediately, you most likely would not do it. Even though no else has to see your food journal, simply having one is still a deterrent for most. The very fact that you have to write your bad behavior down creates an objective reality to the behavior that cannot be ignored. This, in and of itself, is enough of an immediate negative consequence. As a result, it reduces cheating. Even if you are only eating the right food, the amount of food you eat counts. No, I’m not promoting the calories in calories out myth. But an over abundance of nutrients in your system has to be dealt with. Often your body will eliminate it though waste or store it to fat. Not only this, but there are bad hormonal reactions to stuffing yourself. How much you eat does count. Food journaling helps regulate your overall intake. The truth is that your overall food intake can get away from you fairly quickly. For example, it’s pretty easy to have four eggs for breakfast instead of two, and a double cheese burger (lettuce wrap, of course) instead of a single; a little more chicken than necessary at dinner, in addition to that bag of almonds you ate for snack. Please do not misunderstand me. All this food is fine if you are really that hungry. However, many people do in fact eat well past satiety. Overeating becomes more of a problem when you are trying to lose those last 10-15 pounds. At the beginning of your weight-loss journey, simply switching to the right foods will often be enough to lose a significant amount of weight. But if you have stalled out on your progress, the amount of food you eat is often the issue. Food journaling tracks your overall caloric intake. 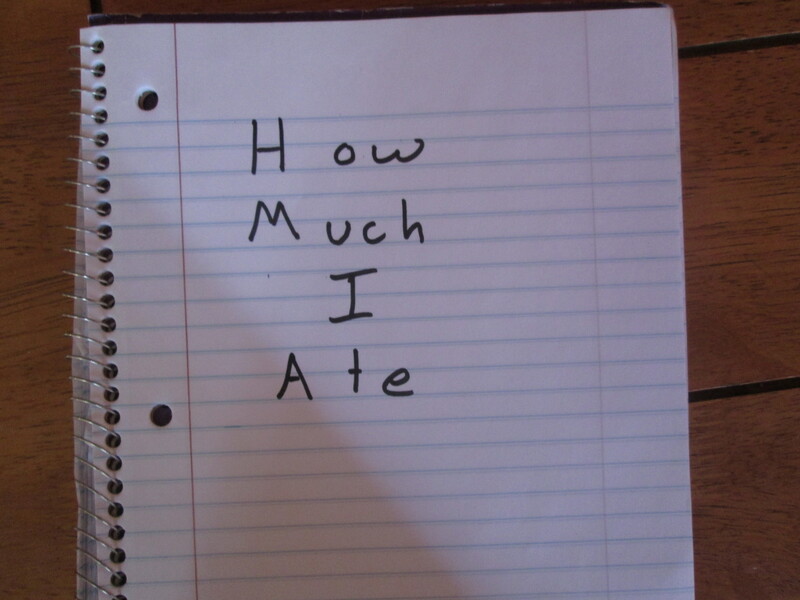 When you write down what you have eaten, you can objectively evaluate what you may need to cut out. This last point is really a combination of the two points listed above. But it is important to note that when we are not losing weight we expect, it is often due to the fact that we are deceiving ourselves. We lie to ourselves about what we have eaten and how much we have eaten. The fact of the matter is most people who do not keep a food journal cannot recount with accuracy what they ate. To complicate the matter it’s easy for us to lie to ourselves about these issues. This becomes a big problem when a person is not getting the results they are expecting. Wondering what went wrong or what is going wrong becomes common. A food journal helps in keeping one from self delusion. After all, there is (or at least there should be) an objective record. 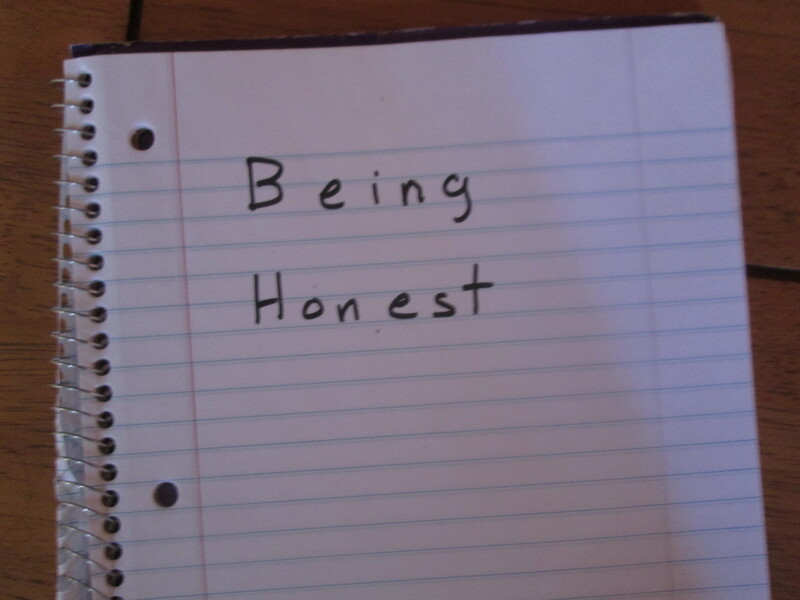 This record keeps you honest. In closing, there is only one question you need to ask yourself: Do you want to lose weight? If you do, then a food journal will tremendous help with your goal. A new episode of A Mind For Fitness is now available. Are you planning on cheating a few extra days during this holiday season? If you are, there are some things that you can do in order to minimize weight gain. Listen to find out. Paleo, Keto, Low Carb, What’s The Difference? Have you ever wondered what the difference is between the Low-carb, Ketogenic, and Paleo diets. Sometimes it is difficult to tell. In fact, when explaining the the various aspects of these diets, these three diets in particular overlap significantly. This overlap hit home for me when on one occasion a friend of mine was explaining his diet. He was telling me all the foods he could and could not eat. He mentioned that he could meet, fish, veggies, and some fruit. He said he needed to stay away from grains, sugar, and a few other foods. Upon his explanation, I thought this was simply a low-carb diet. He was trying to control insulin in an attempt to shred some unwanted weight. However, this was not simply a low-carb diet. Later when we were having lunch, I ordered a salad with Ranch dressing. On the salad was some cheese. My friend said that you cannot have ranch dressing or cheese on this diet. This shocked me. The serving of ranch on my salad had no more than about four carbs. The cheese was probably about a two carb serving. This was not going to effect my blood sugar! This was not going to rise my insulin! So what was the problem? The problem was that my friend was not simply on a low-carb diet. Nor was he was recommending a low-carb diet per-se. In fact, his diet was more-or-less incidentally low-carb. He was on a Paleo diet. That was when I realized that there was a difference between low-carb and Paleo. Later, I realized that there is also a difference between a Ketogenic diet and these other diets as well. Another complication in distinguishing between these three diets is the fact that celebrity proponents of these diets run in the same circles. For example Jimmy Moore, Able James, Dave Asprey, Robb Wolf, and others will often speak at the same conferences as well as appear on each other’s podcasts. So what is the difference and is that difference significant? What’s the Focus, What’s Incidental? The difference comes down to two things The first is what is the main focus of these diets. Or to put it another way, what is the driving theory behind their dietary protocol. Second has to do with what is incidental. In other words, what are the results of the theory and how do those results workout in the dietary protocol. Before I break this down in each diet, let me say that low-carb and Ketogenic have much more in common in their focus than Paleo. Because of that, I will start with Paleo. The driving force behind Paleo is the idea that the diet of original man is optimal for health. Therefore, there is a strong emphasis on meat, fat, and organic, non- processed food. Original man did not get their food from a factory. They got it from hunting and gathering. Fruit and vegetables could only be eaten in season and therefore sparingly. According to this view, original men were not farmers so grains and other farming byproducts are not part of this diet. So, is this diet low-carb and/or ketogenic? Yes, but only incidentally so. In other words, lo- carb and ketoses is not focus but the byproduct. For example, in the winter, original man (in many regions) would not have access to fruit and vegetables. Therefore, they would have eaten meat and fat which would have lowered their insulin and put them in ketoses for a large segment of the year. The focus is eat like original man and as a result you will (at least at times) be in a state of ketoses and have steady blood sugar. Again these two are more closely related because their focus and driving theory are almost identical. Also, their byproducts have much in common. However, that said, they are not completely the same. The main focus of a Ketogenic diet is to achieve ketoses pure and simple. But in order to achieve ketoses you must eat very, very few carbs which will keep your insulin at bay. Insulin (with exception of carb re-feedings) is the enemy because it will keep you out of ketoses. In a low-carb diet, insulin is also the enemy not necessarily because it will keep you out of ketoses but because insulin is a hormone that stores fat. You keep this hormone at bay by avoiding high-carbohydrate food. As a result of this, these diets are both high in fat and moderate in protein and low in sugar and foods that turn to sugar in the body. However, for the most part a Ketogenic diet will slightly put more emphasis on fat than a Low-carb diet. But there is so much similarity that where you find the emphasis really depends on the author you are reading. Having a diet high in fat, moderate in protein, and low in sugar is where these diets overlap with Paleo. However, it overlaps with Paleo it is not yet incidentally Paleo. These kinds of foods are essential to both the Paleo and Keto communities. Where then do these become incidentally Paleo? This is where things get a bit complex. Paleo will always overlap with low-carb food and be incidentally ketogenic at times. But Ketogeinic and low-carb diets do not have to be incidentally Paleo. This is due to the fact that being ketogenic and low-carb does not necessitate the belief that “original man’s diet” is optimal. Nor does it necessitate that food must come from an organic source. To give an example, when I had my salad with ranch and cheese I was being low-carb, and given my overall low-carb count of the day, I was also being ketogenic. However, I was not being Paleo because I was eating that which original man would not have eaten. My friend, on the other hand, who also had a salad but without cheese and cream based dressing was being Paleo as well and low-carb. So when do Low-carb and Ketogenic diets become incidentally Paleo? The answer comes in what a particular dieter believes about original man and from where he decides to get his food. When a low-carber and/or a ketoer believes that original man had the best diet they have also become Paleo. If a low carber, ketoer decides that they will only eat organic food (for the most part) they have become incidentally Paleo. Can Someone Be All Three? The answer to the above question is yes with qualifications. There are many who believe that original man’s diet is the best option for health, who eat only organic food, and also actively try to achieve a state of ketoses. These people often consider themselves both Paleo and Keto (incidently low-carb). And they are correct in a sense. However, one view will often override the other. For example, there has been much conversation about tubers in the Paleo community. Some believe they are OK to eat and some do not. But let’s say one believes that original man did eat tubers. If this person believes this, but is trying to get into ketoses, he will avoid them. His desire to gain ketoses has dictated his diet. As anyone can see, where these diets overlap and where these diets differ from each other is a complex issue. There are many who are Keto friendly, but Paleo in their overall outlook on health and vice-versa. This complexity gives rise to the fact that most people in these communities will share information and speak at each others events and podcasts. I hope this helped. If it did please share this on your favorite social media as well as leave a comment.